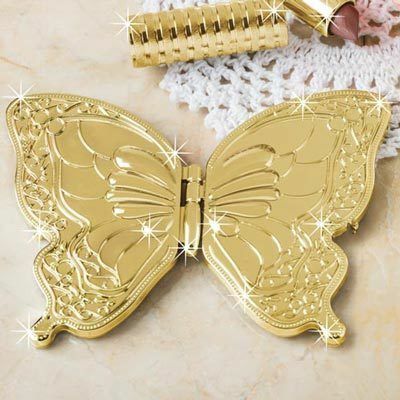 Slipped into a pocket or purse, this pretty gold-tone butterfly compact goes wherever you do. The raised relief design is detailed and feminine. Two oval mirrors are set into two plastic wings that close to make up a half butterfly form. 33/4"h.